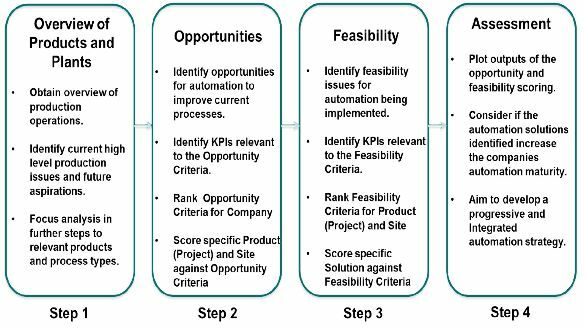 A set of guidelines for assessing the automation requirements for an industrial operation, and a method for evaluating candidate solutions. Quick and easy first step for a company to undertake when considering implementing automation. 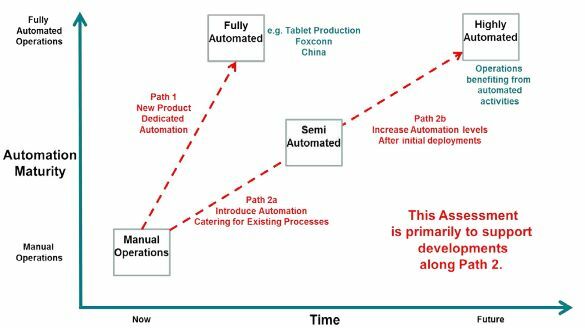 Quickly highlights not just which type of automation would be unfeasible and which require more investigation, but also whether it would be beneficial for a company to implement automation at all. It turns subjective, qualitative data into quantitative data. Able to deal with incomplete data set. Final graphical presentation of data “a good visual method of summarising the findings of the study”.